Then there was that bit of trouble, remember? I saw Mommy kissing you underneath the mistletoe that night. How was I to know Daddy was wearing your suit? But I didn't shout, I didn't pout. I was nice. I'm wise to that list you keep and check twice. I did not want a couple lumps of coal instead of that Red Ryder BB Gun. Thank you, I see fine with one eye. It's not your fault. Besides, it got me out of the draft back in '68, so all in all, that was another good Christmas for me. What did Grandma do that pissed you off that night? It was just the worst time of the year for such a journey, the ways deep and the weather sharp, the very dead of winter, and all of that. But getting run over by reindeer is a hard way to reaffirm one's belief in myths. Did I say myth? I mean the true spirit of X-mas and, of course, your existence, Santa. I shall be glad of another sale. Last year I asked for RAM and got Mary's little lamb. I meant computer memory, Santa. So, now that I know you have a low tolerance for ambiguity, I am going to keep this short, sweet, and specific, OK? First, all I want for Christmas is a room somewhere. Please make it far away from the cold night air. Lots of chocolate for me to eat, but forget the figgy pudding, ok? And make it a big room, and soundproofed because when all the faithful come joyful and triumphant, they make a lot of noise. Second, please bring You Know Who a puppy. I saw a doggie in the window, one with a waggly tail. Tan cute; its ears were grown long and its tail cut short. But the price was astronomical, so that little dogie can just git along, that's its misfortune and none of my own. Heah! And, wow, did you pull a fast one on me again this year! Fool me twice and all that. While no one was looking, except for California, the other guys swept the election. They must have composed quite a letter last year. Anyway, my third wish, dear Santa, is same as last year's: Oh please, wise up that pendejo in the White House. War is not Peace. Bring the troops home now. As I promised, I’m keeping this short and to the point. Here’s hoping all your wishes come true, too. As you say, "Merry Christmas to all, and to all, a good night." P.S. Enjoy the mutton stew. so they're all facing north. I've got all my family here. never have to see it. Against her wide green thighs. And poured into the throat of day, turquoise and lapis, emerald and jade. The moon hums against her skin. Who spirals through a thousand lifetimes and dances Kali or Quan Yin. Look, the animals are searching for their reflection in her face. And swims from this opening into Mother Ocean. In her net of fish scales and seal bone. The tangled roots of our lives coming to fruition. The river is a mirror for our bodies. Are filled with that song. The speck of sand turning into pearl. set my mood for a serene, fulfilling day. I wake as the world awakes. daybreak for comfort, creativity, vigor. grows golden to the birds’ serenade. rubbing sleep from their eyes. I call out in the four directions. and to the west, tauhi, tauhi. open my arms and embrace the world. there is nothing I cannot do. Jeanette Iskat de Aldana is a painter, working mostly in mixed media and watercolor, and a poet, working mostly in mixed metaphors and words written in water. She is working on her first collection of poems and really wants someone to give her the letterpress and type blocks they have just hanging around so she could typeset old school broad sheets. She lives in Los Angeles with her philosopher-songwriter husband, Jesus Aldana Alba. Devreaux Baker's work has been published or is forthcoming in many journals and anthologies including; The New Millenium, ZYZZYVA, The American Voice, Borderlands Review of Texas Poetry, The Guadalupe Review, Bloomsbury Review, High Plains Literary Review, Counter-Punch,El Tecolote, and the Inheritance of Light Anthology . She was an editor of Wood, Water, Air and Fire: The Anthology of Mendocino Women Poets and produced The Voyagers Radio Program of Original Student Writing for National Public Radio. 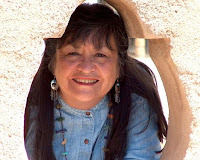 She taught poetry in the schools for many years and has published three books of poetry; Light at the Edge, Beyond the Circumstance of Sight and Red Willow People. She is the recipient of a MacDowell Fellowship, A Hawthornden Castle International Poetry Fellowship, three California Arts Council multi-disciplinary fellowships, and the Helene Wurlitzer Writing Fellowship. 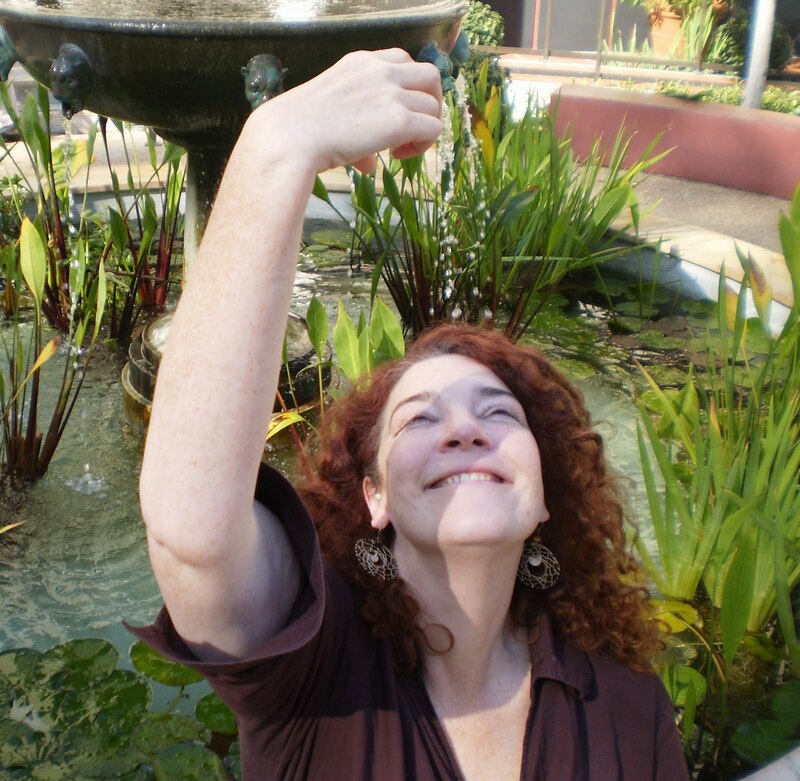 She has conducted workshops on creative writing in France, England, Scotland and Mexico. 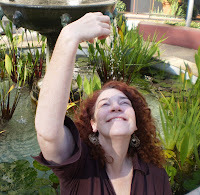 She currently directs the Mendocino Coast Poets Reading Series. 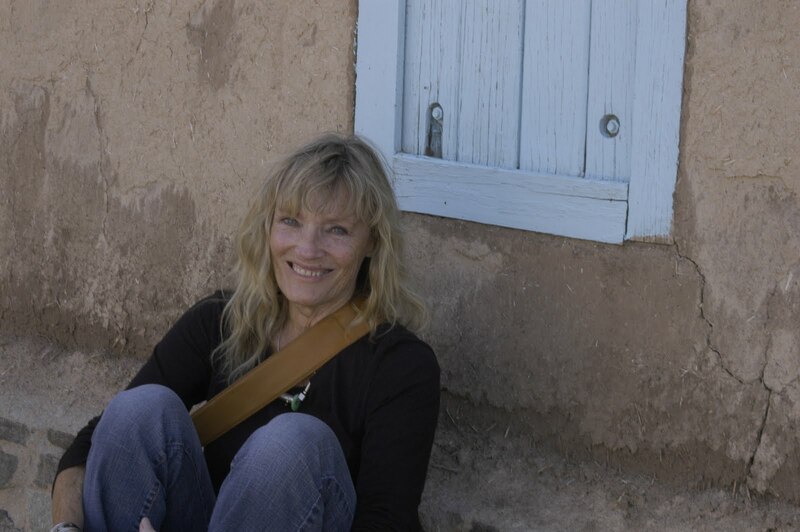 Elena Díaz Björkquist, a writer, historian, and artist from Tucson, writes about Morenci, Arizona where she was born. She is the author of two books, Suffer Smoke and Water from the Moon. Elena has been on the Arizona Humanities Council (AHC) Speakers Bureau for nine years and not only performs as Teresa Urrea in a Chautauqua but also does two presentations about Morenci, Arizona and one about the 1880’s Schoolhouse in Tubac. Elena is co-editor of Sowing the Seeds, an anthology written by her writers group. The project was funded by AHC. She is nearing completion of another collection of Morenci stories entitled “Albóndiga Soup” and is co-editing a new anthology entitled “Our Spirit, Our Reality” by the Comadres of Sowing the Seeds. 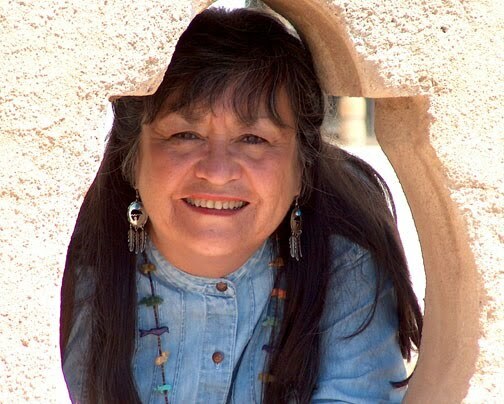 A SIROW Scholar at the University of Arizona, Elena conducted an oral history project funded by AHC; “In the Shadow of the Smokestack.” A website she created contains the oral history interviews and photographs of Chicano elders living in Morenci during the Depression and World War II. Another project funded by AHC and the Stocker Foundation is “Tubac 1880’s Schoolhouse Living History Program.” Her website is www.elenadiazbjorkquist.net/. This writing was written from the bottom of my heart. Much of the time people do not realize the hardships that an American girl faces in a relationship with a man caught up in this broken immigration system. She is caught in between two structures amongst her peers. She lives with her man who feels degraded because he has to depend on her for his basic needs. He depends on her for the simple things we all take for granted, and he can only invest emotions with her. These emotions become dysfunctional. His "Gringa" is an "Angel of the Arizona Divide", because only an Angel could survive the circumstance. She cries everyday, and lives in the shadows with him. Watching employers, landlords and everyday people brand him with the "stereotype". When she talks about him to her working class peers they think it’s OK to ask if her man is an "illegal". By night her man’s underground friends do not care for her much either, because they resent the fact that she is a citizen and has the basic needs that she needs. Her man loves her deeply but they are trapped within a mainstream culture, and an underground culture. This feels much like she is struck with a knife when she hears this label. She becomes angry, frustrated, depressed, and her psychological state becomes self-destructive with dysfunction. In this poem she is an "Angel" and in her dreams she crosses the border with her man for the second time, after he faces a deportation. He appears 14 days later in her town in a yellow taxi cab from NYC. He made it home alive. He didn't die in the desert from dehydration. He wasn't abandoned by criminal Coyotes, but now she waits for this horrible system to change. She waits, and waits and waits. She has to be an "Angel" to survive. The beautiful poem River, stole my heart and set me adrift on beautiful images. River helped me traverse through all the poems and stop at their banks to learn their wisdom.